Yes, you will shoot some pictures. They might be quite entertaining especially if it is a nice sunny day and you have some interesting action to shoot such as a street carnival, but this is a home movie, and not a video product that can be compared to a professional video. To make a video to satisfy examiners and moderators you need to use some professional techniques. You do not need to spend a lot of money on the kit. 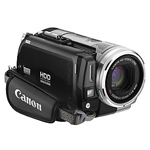 You will need a VIDEO CAMERA that records on DV (Digital Video) or a hard disc (HDD). Some video cameras can record onto DVD but these are not recommended for video that needs editing. I recommend a camera that records onto a hard disc, as it is affordable, cheaper to use (no need to buy DV tape) and resists breakage and has several hours recording on the hard disc in the camera. And no lost tapes! You do need to download the footage to a computer but you will be doing this any way to edit the material. A digital video camera records moving pictures and sound in a digital format and stores the pictures and sound so that they can be downloaded straight into video editing software such as Apple’s imovie, Microsoft movie maker, Adobe Premiere, AVID Express or Final Cut Pro – the last two are software used by professional video productions. If you are going to buy video editing software it is best to go for a proven system such as Adobe Premiere.